Tags: Antique Print, Coffea Plant, Sugarcane. 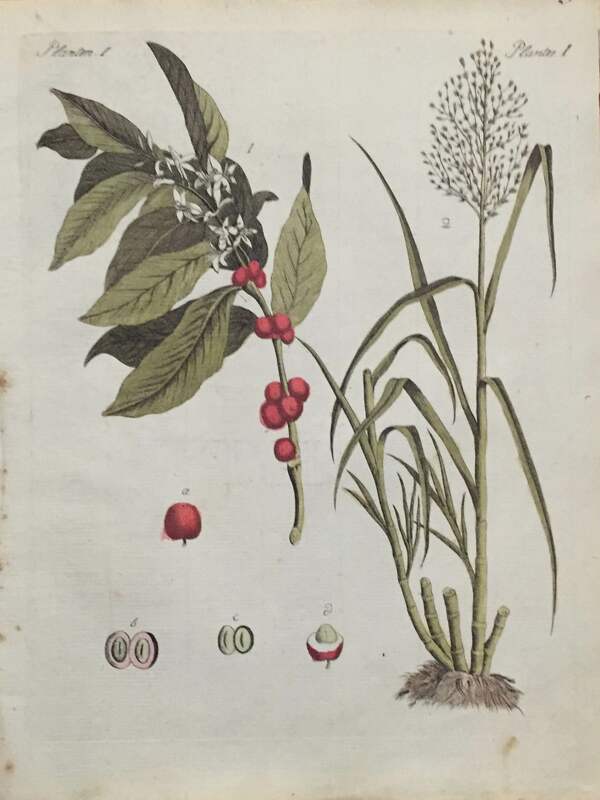 Antique print Coffea plant and sugarcane. Coffea is a genus of flowering plants whose seeds, called coffee beans, are used to make coffee. It is a member of the family Rubiaceae. They are shrubs or small trees native to tropical and southern Africa and tropical Asia. Coffee ranks as one of the world’s most valuable and widely traded commodity crops and is an important export product of several countries, including those in Central and South America, the Caribbean and Africa.